MCD (This and FSGS are Primarily Podocyte Disease "Podocytopathies". 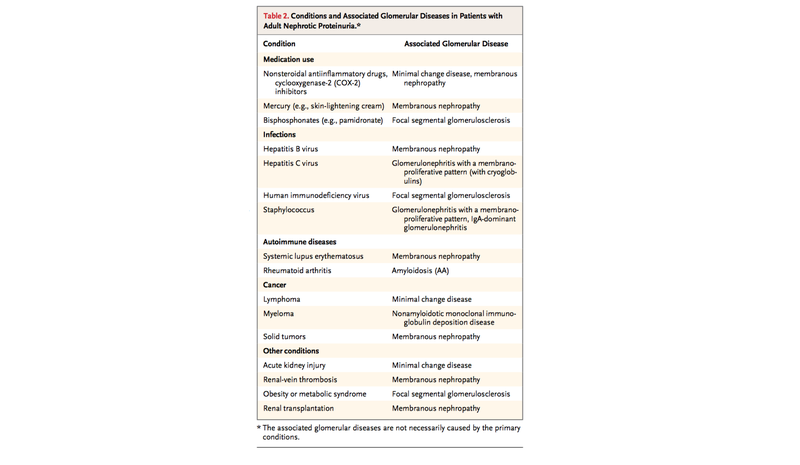 Most prevalent primary chronic glomerular disease worldwide. In Table 2 above, appreciate that MPGN has low complement level. 30 yr old F is seen for anuria of 1 week, and weakness of 2 weeks. Following were the labs. CMP, CBC, and UA is as below. Does have proteinuria. Given this finding what is the DDx and how should this be worked up? Complement level was normal. NO skin rash, or joint pain. collapsing glomerulopathy, a variant of focal segmental glomerulosclerosis, typically present with a rapid progression of renal failure and heavy proteinuria. 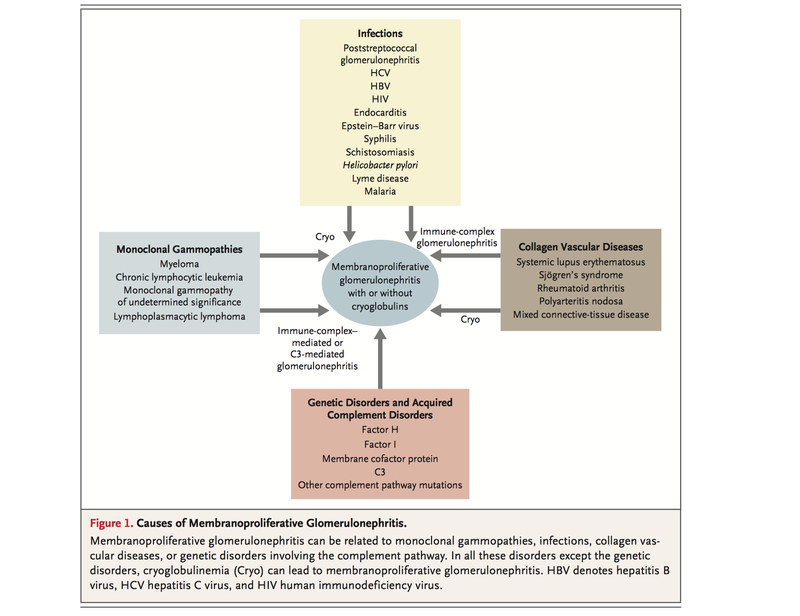 Ig A nephropathy is a DDx. 55 yr of AAM is seen for SOB and headache. No PMHx, and NO prior medication. Following is the finding on presentation. PTH is elevated. PO4 3 - is elevated. Calcium is low. ABG shows primary respiratory alkalosis with appropriate compensation. SPEP, S - IFA, FLC, A1C are normal. LFT and Cardiac ECHO seems normal as well. Complement is normal. Initial Biopsy results shows Membranous Nephropathy.